December 1 - 7 has the distinction each year of being "Cookie Cutter Week." As we all know, cookie cutters are an important tool this time of year. Bakers need the cutters to form standard, consistent shapes of holiday cookies. That's good. What's bad is when you're purchasing a home and someone says "Oh, that's a Cookie Cutter Home." It means the home is the same as all the other homes in the neighborhood. Adding your own personal style to a house can prevent it from being a "Cookie Cutter Home." One of the best ways to achieve this goal is by requesting decorative glass privacy windows for your home. 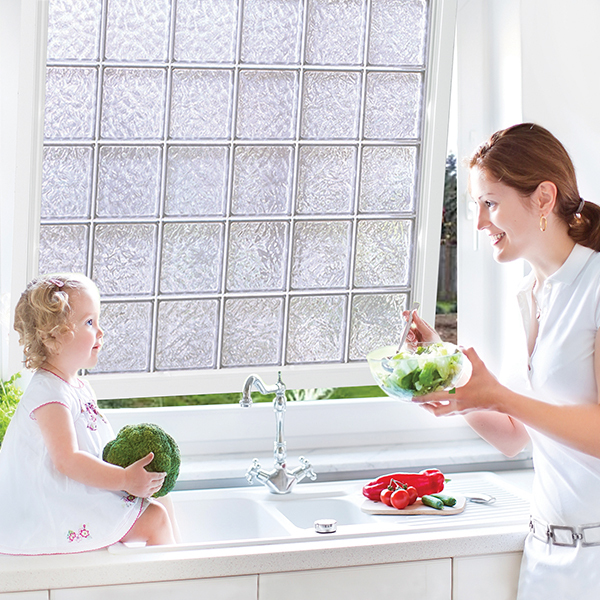 Available with dozens of designs, privacy windows from Hy-Lite allow you to personalize and customize any room in your home. While privacy windows are generally thought of for the master bathroom, to protect your privacy in the most intimate room of the home, they're also great for kitchens, home offices, bedrooms and other areas. Wherever there's an opening for a window, there's the opportunity to include a decorative glass window. Concerned that you'll lose natural sunlight or fresh air if you request a privacy window? Don't be. We have a variety of easy-to-operate crank-out casement and awning windows in an array of styles and sizes. This allows you to ventilate your rooms while keeping your privacy and bringing light into the home. This year, keep the cookie cutters in the kitchen. Add decorative glass privacy windows to your new or existing home to frost your home with a dash of personality!